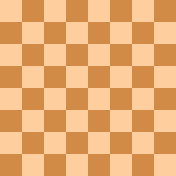 In the game shatranj, the ancestor of chess included only male figures, the closest thing to the queen being the “vizier”, a weak piece only able to move or capture one step diagonally and not at all in any other direction. The modern chess queen gained power in the 15th century in concert with traditions of queenly rule in Europe. Examples of this power shift would be the "end of chivalry" by which Queen Elizabeth I ended the tradition that any knight could create another and made it exclusively the preserve of the monarch. The piece is archaically known as the minister. In Polish it is known as the Hetman - the name of a major historical military-political office. In Russian it is known as "ferz'" (ферзь). The Arabic name of the piece is Wazïr, the same as in shatranj. The queen can be moved any number of unoccupied squares in a straight line vertically, horizontally, or diagonally, thus combining the moves of the rook and bishop. The queen captures by occupying the square on which an enemy piece sits. Although both players start with one queen each, a player can promote a pawn to any of several types of pieces, including a queen, when the pawn is moved to the player's furthest rank (the opponent's first rank). Such a queen created by promotion can be an additional queen, or if the player's queen has been captured, a replacement queen. Pawn promotion to a queen is colloquially called queening, which is by far the most common type of piece a pawn is promoted to because of the relative power of a queen. Ordinarily the queen is slightly more powerful than a rook and a bishop together, while slightly less powerful than two rooks. It is almost always disadvantageous to exchange the queen for a single piece other than the enemy's queen. The reason the queen is more powerful than a combination of a rook and bishop, even though they control the same number of squares, is twofold. First, the queen is a more mobile unit than the rook and bishop, as the entire power of the queen can be transferred to another location in one move, while transferring the entire firepower of a rook and bishop requires two moves, and the bishop is always restricted to squares of one color. Second, the queen is not hampered by the bishop's inability to control squares of the opposite color to the square on which it stands. A factor in favor of the rook and bishop is that they can attack (or defend) a square twice, while a queen can only do so only once, but experience has shown that this factor is usually less significant than the points favoring the queen. The queen is at her most powerful when the board is open, when the enemy king is not well defended, or when there are loose (i.e. undefended) pieces in the enemy camp. Because of her long range and ability to move in multiple directions, the queen is well equipped to execute forks. Compared to other long range pieces (i.e. rooks and bishops) the queen is less restricted and more powerful also in closed positions. Beginners often develop the queen early in the game, hoping to plunder the enemy position and deliver an early checkmate such as Scholar's Mate. This can expose the easily harassed queen to attacks by weaker pieces causing the player to lose time. Experienced players generally prefer to delay developing the queen, and instead develop minor pieces in the opening. Early queen attacks are rare in high level chess, but there are some openings with early queen development that are used by high level players. For example, the Scandinavian Defense, which features queen moves by Black on the second and third moves is considered sound, and has been played at the world championship level. Some less common examples have also been observed in high level games. The Parham Attack, which is widely considered an opening suitable only for beginners, has occasionally been played by the strong American Grandmaster Hikaru Nakamura. A queen exchange often marks the beginning of the endgame, but there are queen endgames, and sometimes queens are exchanged in the opening, long before the endgame. A common goal in the endgame is to promote a pawn to a queen. As the queen has the largest range and mobility, queen and king vs. lone king is an easy win when compared to some other basic mates. A queen sacrifice is the deliberate sacrifice of a queen in order to gain a more favorable tactical position. The queen was originally the counsellor or prime minister or vizier (Sanskrit mantri, Persian farzīn, Arabic firzān or firz). Initially it could move only one square diagonally. About 1300 its move was enhanced to allow it to move two squares with jump onto a same-colored square for its first move, to help the sides to come into contact sooner. The fers changed into the queen over time. The first surviving mention of this piece as a queen or similar was "regina" in the Einsiedeln Poem, written in Latin around 997 and preserved in a monastery at Einsiedeln in Switzerland. Some surviving early medieval pieces depict the piece as a queen, and the word fers became grammatically feminized in several languages, for example alferza in Spanish and fierce or fierge in French, before it was replaced with names such as reine or dame (lady). The Carmina Burana also refer to the queen as femina (woman) and coniunx (spouse), and the name Amazon has sometimes been seen. In Russian it keeps its Persian name of ferz to this day; koroleva (queen) is colloquial and is never used by professional chess players. However, the names korolevna (king's daughter), tsaritsa (tsar's wife), and baba (old woman) are attested as early as 1694. In Arabic countries the queen remains termed, and in some cases depicted as, a vizier. Historian Marilyn Yalom proposes that the prominence of medieval queens such as Eleanor of Aquitaine and Blanche of Castile and Isabella I of Castile, the cult of the Virgin Mary, and the power ascribed to women in the troubadour tradition of courtly love, might have been partly responsible for influencing the piece towards its identity as a queen and later its modern great power on the board, as might the medieval popularity of chess as a game particularly suitable for women to play on equal terms with men. She points to medieval poetry depicting the Virgin as the chess-queen of God or Fierce Dieu. Significantly, the earliest surviving treatise to describe the modern movement of the queen (as well as the bishop and pawn), Repetición de amores e arte de axedres con CL iuegos de partido (Discourses on Love and the Art of Chess with 150 Problems) by Luis Ramírez de Lucena, was published during the reign of Isabella I of Castile. Well before the queen's powers expanded, it was already being romantically described as essential to the king's survival, so that when the queen was lost, there was nothing more of value on the board. The chess queen, rather than ferz or similar, is known of in what is now Spain and Portugal only from the 12th century, but started sooner elsewhere. The modern move of the Queen started in Spain during Isabella I's reign, perhaps inspired by her great political power, and spread from there, perhaps being spread by the invention of printing and the 1492 Expulsion from Spain of the Jews who carried the new chess rule with them as they fled. During the 16th century the queen's move took its modern form as a combination of the move of the rook and the current move of the bishop. Starting from Spain, this new version - called "queen's chess" (scacchi de la donna), or pejoratively "madwoman's chess" (scacchi alla rabiosa) - spread throughout Europe rapidly, partly due to the advent of the printing press and the popularity of new books on chess. The new rules faced a backlash in some quarters, ranging from anxiety over a powerful female warrior figure to frank abuse against women in general. At various times, the ability of pawns to be queened was restricted while the original queen was still on the board, so as not to cause scandal by providing the king with more than one queen. An early twelfth-century Latin poem refers to a queened pawn as a ferzia, as opposed to the original queen or regina, to account for this. In Russia for a long time the queen could also move like a knight; some players disapproved of this ability to "gallop like the horse" (knight). The book A History of Chess by H.J.R.Murray, page 384, says that a Mr.Coxe who was in Russia in 1772 saw chess played with the queen also moving like a knight. Such an augmented queen piece is now known as the fairy chess piece amazon.